Read this guide for every single thing you need to know whilst you plan your backpacking China trip. China is so big, you’re going to need the help! China is vast. There really isn’t any other way to describe this incredible country. The guide would be too long if I included Taiwan, Hong Kong and Macau so this guide is solely focusing on mainland China. I have included only the very best attractions throughout China but believe me, that is still more than enough to completely cover any backpacking trip to China. Whether you want to stick to the tourist attractions, or go off the beaten path in China, you’ll definitely find something awesome to do! I strongly advise you to use the contents navigation to find exactly what you’re looking for! Let me know in the comments section if there is anything else you want me to include in this travel guide. What’s the best way to avoid the pollution in China? What’s the tipping culture in China? What’s the best time to go to China? What’s the worst time to go to China? Is it safe to travel alone in China? Accommodation quality and price differ by quite a margin throughout the mainland. You will always be able to get accommodation that suits your need if you’re in a town or larger. I recommended using Booking.com or another hotel booking website. This is because, in mainland China, each hotel you stay at asks you to fill out a small government form in order to keep track on where you are staying and have a record of your trip. If you use Airbnb then this process can be a little more complicated as each place you stay is a personal residence and not necessarily a registered hotel. Airbnb is legal in China and is regulated to the same standards but I just think it’s easier to stick with hotels and hostels to minimise confusion. Ensure you fill out the paperwork at each hotel you stay at (the hotel should automatically give you the form). It is not something to worry about but if for some reason, they do ask if you completed the paperwork then it’s better if you can say yes. If you like this type of building then you’re going to really like China! The food in China varies significantly from north to south. 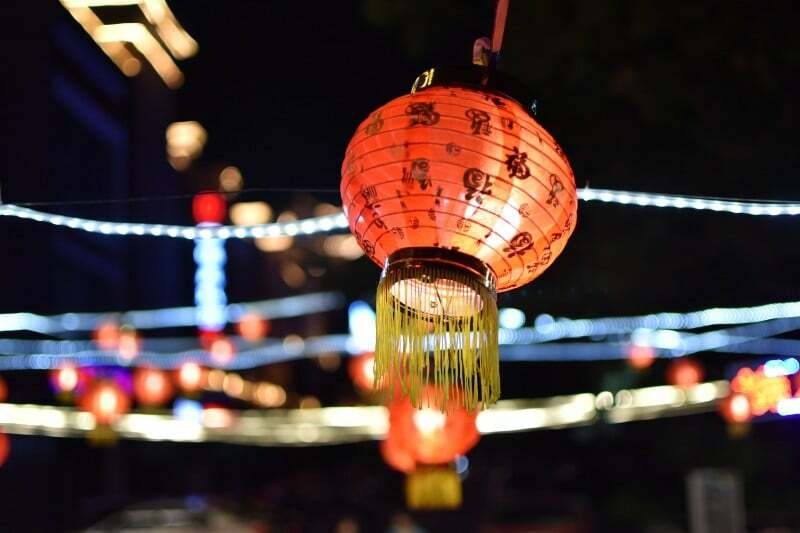 If you are from the UK then you will be more familiar with south Chinese cuisine, for example; chow mein, fried rice or sweet and sour chicken. If you are from the US you may be more familiar with north Chinese food, for example; steamed dumplings and noodle soup. Wherever you go and whatever you prefer, the food is cheap and readily accessible. 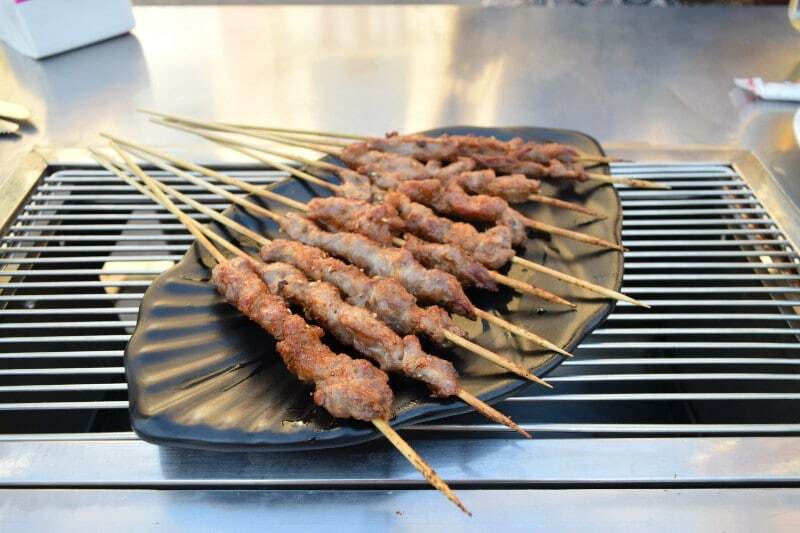 There are many restaurants, fast food and street food vendors throughout the towns and cities. For a typical Chinese meal; fried rice, a meat dish and a large beer, it is going to cost you on average around $8 in a small restaurant in a city. This can decrease the further out from the centre you go and if you don’t mind sitting on a plastic picnic chair on the pavement! 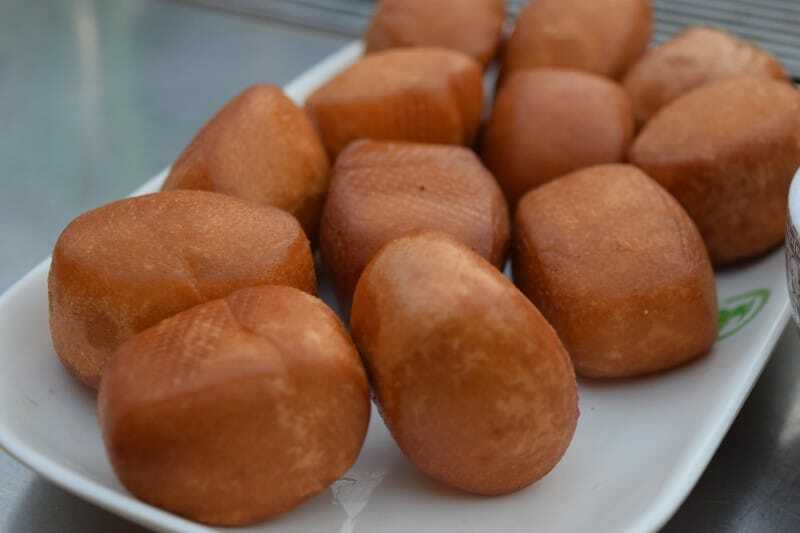 Mantou – Deep fried dough balls served with condensed milk. Simple but tasty. Obtaining a tourist visa to go to China may be a little time consuming but it is definitely worth the effort. I cannot advise on the process for every nationality as applying for a visa in China is very different for basically every nationality. This includes cost and time to completion. However, I can advise on what EVERY tourist needs to complete before applying or being accepted on a Chinese Visa. Sign on or visit your countries respective Chinese embassy and follow the directions on applying for a tourist visa. For most people, if not all, this is referred to as the L-Visa. This programme or page will have an application form for you to complete with all the necessary supporting documents. You will need to have a complete itinerary of every location and hotel that you will be staying at before you are accepted. You cannot simply turn up to China and decide what to do after you land like so many other countries in the world. If you are staying with friends or family, or not staying in a hotel for any reason, then the person you are staying with must provide a letter with their personal details, address and relation to you. The specifics of the information they require will be detailed during your application procedure. Chinese Lanterns are everywhere and make for some really nice pictures. As usual, we are not medical professionals so I advise looking HERE for proper medical advice. Medical treatment in China can be extremely expensive if you get sick or something goes wrong. It is one of those countries that if you do not have insurance then you can be financially crippled for life if they perform certain treatments. If you have a day where you’re not doing anything, then take a walk into one of the parks, they’re usually very nice. The best months to visit China are; April, May, September and October. If you are able to go during these months then I strongly advise it. It is very hot throughout the summer and in the north, it is simply horrible. The humidity and heat combined can ruin your trip if you go during these times. In the winter, there is a very unique problem throughout China. If you go to a big city then the locals have started to burn coal to keep warm over the winter months. This significantly increases pollution throughout these times compared to other times of the year. There is nothing worse than trying to take pictures with a faint grey covering everything. The temperature is perfect in the short spring and equally short autumn. In the south, you will be able to take pictures of the incredible mountains and rice paddies without the persistence of winter fog (see our post to how it’s not done). Travel to the north, you will be able to walk the Great Wall of China without sweating your entire body weight of water. In the winter the pollution gets thicker and turns yellow. Don’t come to China in the winter people! Avoid Beijing from the 1st October – 7th October. This is the national week in China and domestic tourism skyrockets in the capital as everyone come in to celebrate. Prices in Beijing go through the roof and if you try to get a flight then you’ll be paying a huge premium if you get a flight at all. Spring Festival (Chinese New Year) is a definite time to avoid. Its date changes from year to year but it is around January – February. Everywhere closes for the festival and your experience will suffer severely because of this. I started out backpacking with a rucksack like the vast majority of backpackers do. I learnt that 99% of the time they are worse in every way than a holdall. You will have to rumage around through the top of the rucksack trying to find whatever it is you’re looking for in the darkness of the bag. They are also a really annoying shape which makes it difficult to place in storage areas or anywhere to get it out of the way. A holdall has more space inside whilst taking up less space overall, it’s easier to find things by a very long way and it fits in almost every storage area throughout your trip. The only real benefit of a rucksack is if you are doing a serious amount of hiking whilst having to carry a tent and camping equipment. In this packing list, I have included a day bag for you to use when you are out and about so I really don’t think it is advisable to buy an expensive hiking bag for backpacking in China. It can rain at these times of the year in China, so you have to be prepared for a quick heavy shower. Do not go with a thick raincoat as the temperatures are quite mild around these months and you don’t want to get too hot and have to take it off in a rainstorm. If you have to choose between plimsolls and walking shoes then definitely choose the walking shoes. When you get to the Great Wall or you’re climbing the mountains of Guilin you’ll instantly regret it if you don’t have a good comfortable pair of walking shoes. In China, they do not have tampons. If you prefer using tampons then you have two options, take enough for your trip or invest in a menstrual cup. Jade very much recommends the Mooncup as if you really can’t justify cramming in enough tampons for a prolonged trip, it takes up valuable space for no reason. You even have the added benefit of it being much better for the environment. There are many international airports in China. Depending on where you are going and your complete itinerary, you can fly to pretty much anywhere you want. You may have to transfer first at one of the really large airports, for example; Shanghai or Beijing. You can enter China on the rail network from various connecting countries; we went from China to Vietnam on the train. If you do decide to enter from another country via the rail network, be aware that this increases the time it takes. The trains are good when you’re inside China but save yourself the hassle and fly in. Every person on the train has to have their luggage scanned and every person must go through a security checkpoint. The border security then thoroughly checks the inside of the train before allowing it to move through the border. I recommend going via plane if you can as the security procedure is less annoying. 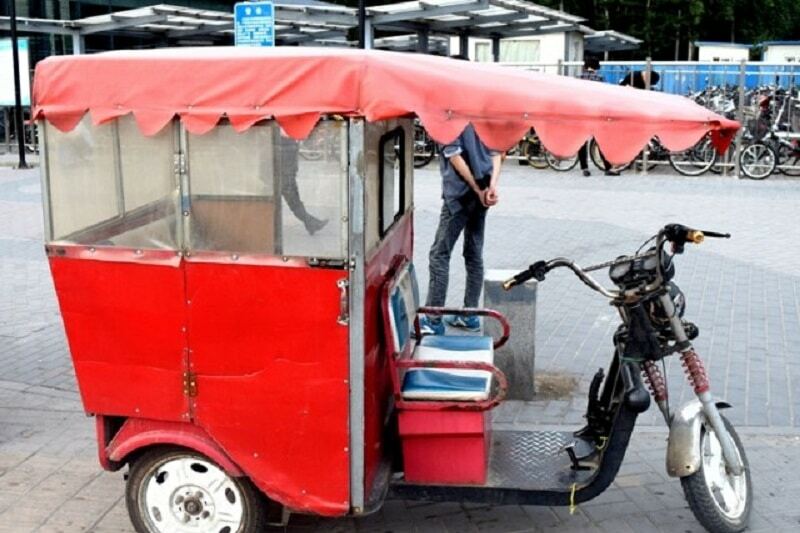 The single best way to get around China is the official taxis. Unlike a lot of other Asian countries, Chinese taxis always have meters so there is no need to barter and everyone gets the same reasonable fare. The official taxis have city-specific coloured vehicles, it is very obvious when they are official when they are available they switch on a red light on the windscreen so it is very easy to tell if they can pick you up. There are many normal unofficial cars driving around with red lights in their windscreens. They will come over to you if you wave your hand. Don’t use them. They will rip you off and they are not tracked or official so this greatly increases your risk of theft or worse. The trains throughout China are very affordable and very good. 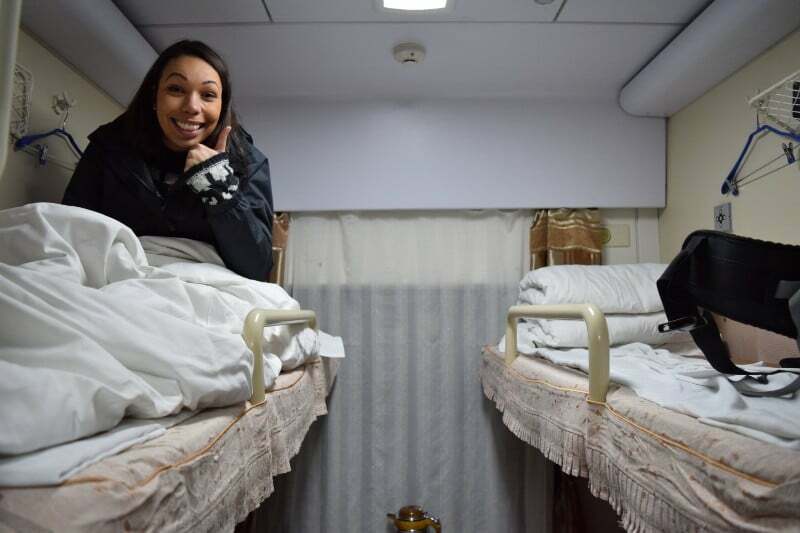 The hard sleeper train from Beijing to Xi’an is a fantastic way to save money, they are also very comfortable and we are 6’2”. I would suggest booking flights if you are backpacking China as this gets rid of the possible disruption associated with the trains. Book your flights/train tickets 6 months in advance at least. If you’re not on a terribly strict budget, then planes are the way forward. Getting around China by plane is highly recommended as it usually isn’t a lot more money and takes significantly less time. 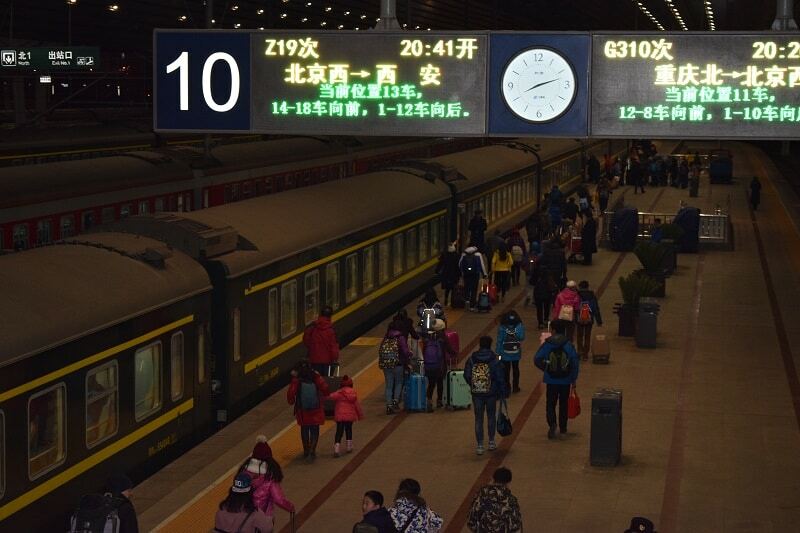 Some trains that take 14 – 18 hours can be done in 3 hours in a plane, this helps maximise your time backpacking in China. The best website in China to use for booking flights has to be Ctrip. We used them throughout our journeys and the service and speed were always very good. There are not many countries in the world where I would include a list of apps you need before you go there, China is the exception. 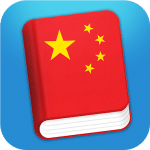 The following three apps are the most important but if you want a more comprehensive list of all the apps that could help your backpacking trip to China then have a look at these most important apps for China. China blocks a serious amount of content and applications that are commonplace in most other countries around the world. If you want to have access to your Facebook, Google and even WhatsApp, you’re going to have to download a VPN. There are a few decent ones out there but our personal favourite is Astrill. 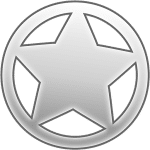 We have been using Astrill for 3 years now and it’s a lifesaver. This is the single most important thing you must download BEFORE you go to China. If you get to China without one it can be more difficult to download it as China blocks the download sites. There are a number of different subway systems throughout China, most notable in; Beijing, Xi’an and Shanghai. 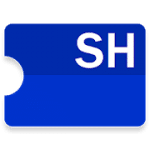 Download the subway app for the city you are staying in and it will help you get around these large cities much easier than trying to look at the signs. You are going to want to download Google Translate and Learn Chinese before you go to China. Google Translate will help you get out of those tricky situations when everyone is just looking at each other and smiling, it’s not perfect but it’s better than nothing. Learn Chinese is a really good app for learning key phrases and pronunciation which will definitely help you in day to day conversation. If you’re going backpacking in China then Beijing has to be on the top of the list. 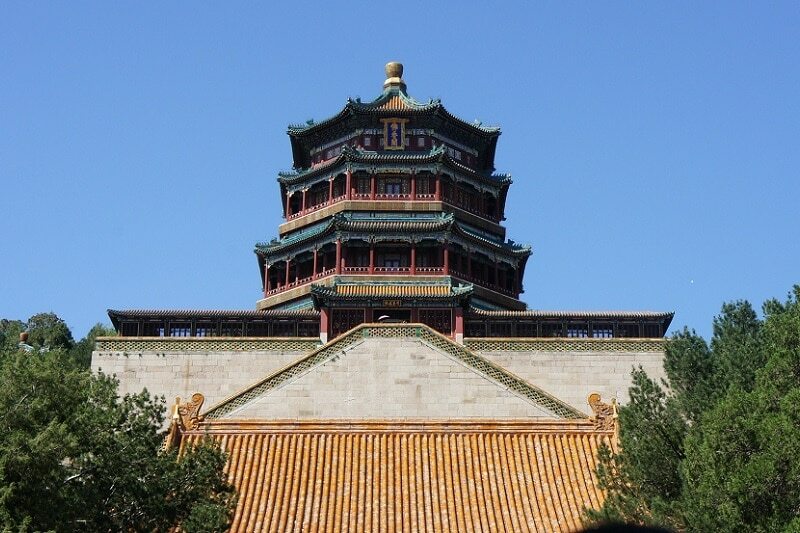 Where other places in China have one or two tourist attractions for you to see, Beijing has many more. You can easily spend a week here visiting all of the different sights. Beijing has an official population of over 20million people and estimates of total population (including unregistered people) of around 35million. Even with this insanely high number of people you never feel like you’re in the highest populated city in the world. The sights to see in Beijing are second to none in all of China. The infrastructure in Beijing is one of the best I have seen whilst travelling around the world. To put this in perspective, outside of the Forbidden City, which is situated in the heart of Beijing, there is a six-lane road. The underground system has some of the largest and cleanest trains I have ever seen and the new lines they are building are even bigger. Yes, the roads can get very congested but I can’t think of many reasons why you wouldn’t be able to hop onto the subway wherever you need to go. Beijing has some of the best, if not the best, restored sections of The Great Wall of China. The Badaling Great Wall is probably the most visited section of Great Wall in the whole of China. It was reconstructed in the middle of the 20th century and is designed to look exactly what it would have looked like originally. If you don’t see the Great Wall of China then that’s a BIG mistake. 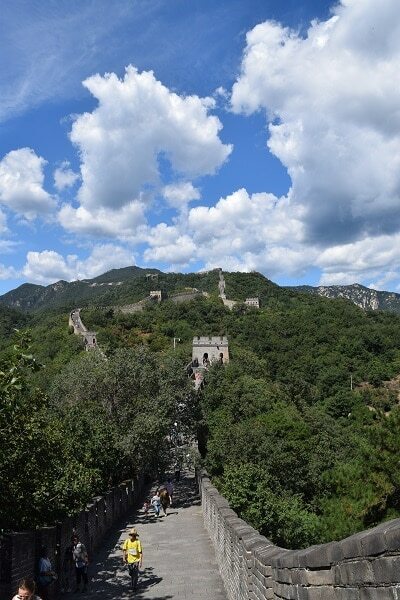 Another top choice around Beijing is the Mutianyu Great Wall section, but it is more difficult to get to and, in my opinion, not quite as good as the Badaling section. However, it does tend to be less crowded. It’s a better choice if you’re travelling with kids too. Getting to Badaling is easy; simply exit Jishuitan subway station on line 2 and walk to Deshengmen bus station (see map below, about a 10-minute walk). Then get on the 877 bus which is non-stop all the way to Badaling Great Wall. This will cost you around 12yuan on the bus and will take around an hour. Be advised that the last bus TO the Badaling Great Wall is currently 12.30 and the last one BACK is around 16.30-17.00. Be aware of the return travel on the days you go so you do not get stuck. The Forbidden City was once the home to the emperors of China and their families. It sits in the heart of Beijing City and is as imposing in person as it sounds. It no longer serves as a home and is now one gigantic museum. I’m not a big fan of wandering around museums, I know how much history can teach us but I easily get bored of seeing the same thing over and over. However, I highly recommend visiting The Forbidden City on your backpacking trip to China. Hopefully, you get a day where the skies are blue! 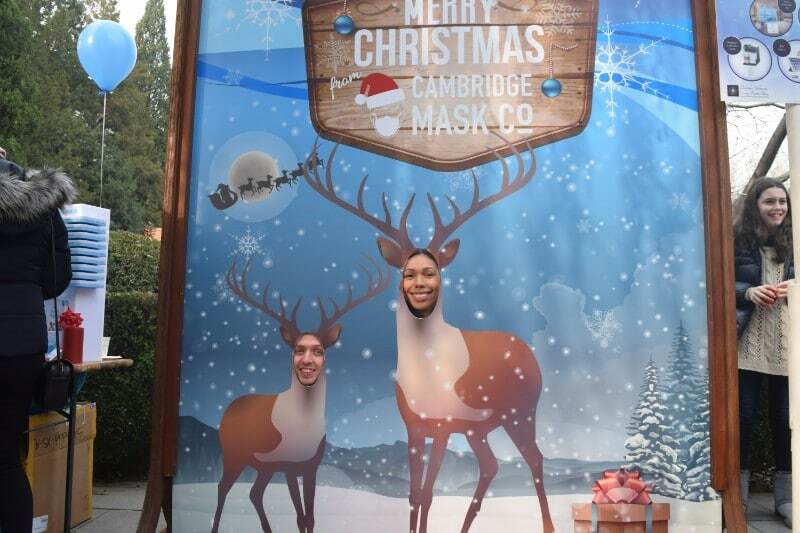 As you can see, we didn’t…. It is exceptionally easy to find, simply go to Tian’anmen subway station and you really can’t miss it. Entry is going to cost you from 40-60yuan depending on what time of the year you go and you can easily spend a couple of hours walking the grounds. If you’d rather skip the line and guarantee entry, then book your ticket in advance. The Forbidden City has a massive amount of tourism and they allow 80,000 visitors every day. Get there early if you want to get a ticket because they run out much quicker than you think. The Temple of Heaven is another huge temple complex. 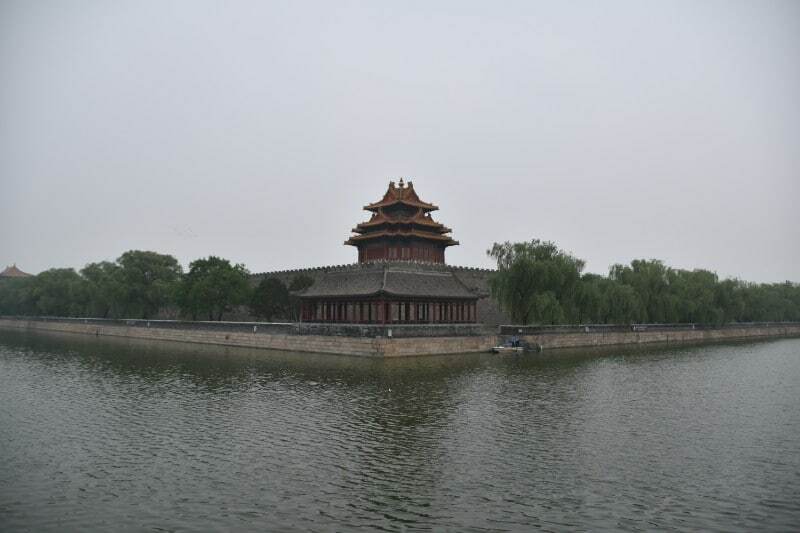 The Forbidden City is the home of the emperors and the Temple of Heaven is the temple. If you are a temple person then this is an absolute must-see, the preservation and beauty of the park are outstanding. 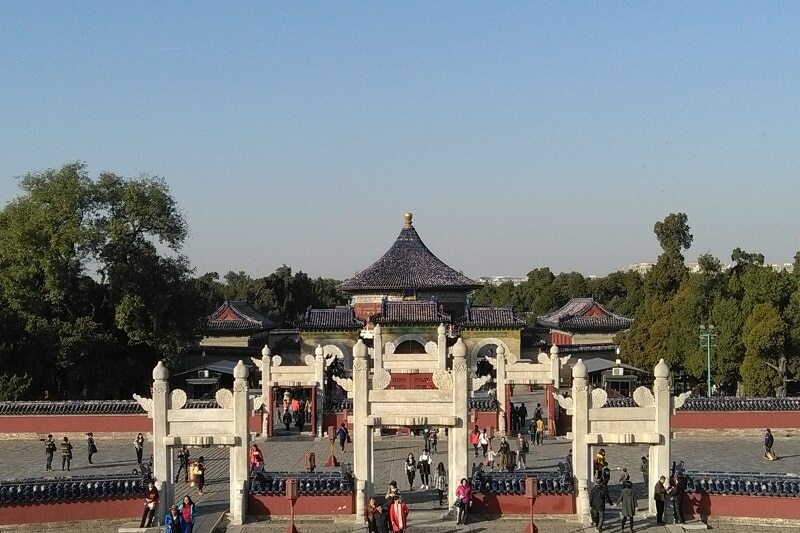 We had a much nicer day for the Temple of Heaven, remember to bring a nice camera! If you visited The Forbidden City in the morning then I recommend visiting the Temple of Heaven in the afternoon. This will give you a great perspective on how the old emperors used to live. Book your ticket in advance if you want to skip the huge lines that can form when buying a ticket on the day. Take line 5 on the subway and exit at Tiantandongmen subway station. It’s about a 2-minute walk to the site entrance and there are many signposts to show you the way. If you have a camera with a panoramic capability then definitely use it as the Temple of Heaven. The open areas and stand-alone temple really give a nice effect when taken in panoramic view. So you have had a look at the emperor’s house and the emperor’s temple, now it’s time to have a look at the emperor’s holiday home, The Summer Palace. This complex is absolutely beautiful, however, If you’re only in Beijing for a very limited amount of time then potentially miss the Summer Palace. I’m not saying that the Summer Palace is not worth a visit, because it is, but it is effectively just a really nice park. The Summer Palace is probably one of the best places in all of Beijing to get really nice photos. If you’re going to be in Beijing for a while then jump on subway line 4 and get off at Beigongmen, exit the station at exit D and the north gate to the complex will be signposted and on the map outside the station. So you came to Beijing to see the sights and soak up the culture but you’ve decided that you’ve seen enough Chinese architecture, temples, walls and palaces. There’s only one thing for it, theme park. We lived next to Happy Valley theme park for 2 years (we could hear the excited screams from our apartment window) and we finally went towards the end of our second year. I was very surprised by how amazing the park actually is. It has at least 4 world class roller coasters and many other rides dotted throughout the park. It is well worth a visit if you have a day spare whilst in Beijing. 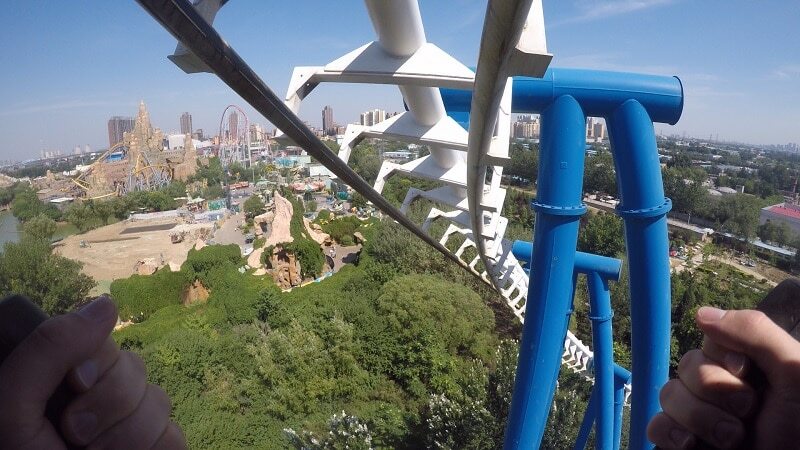 If you like big rides then Happy Valley is your sort of place! Don’t go on weekends or during holidays as it gets incredibly busy. This goes for any theme park anywhere in the world. If you’re a foreigner in Beijing then there is only one place for you, Sanlitun. This is where all the best bars and nightclubs are in Beijing. To get there, jump on line 10 and get off at Tuanjiehu subway station. You have to walk west for about 5 minutes but you will eventually come to a giant Uni Qlo shop and that’s Sanlitun. The whole area has some great restaurants and bars so take a look at the maps and talk to people in the bars to find out about what’s around you and how to get there. If you’re looking for a Chinese restaurant in Sanlitun, I recommend Mr Shi’s. It has a lot of great Chinese food on the menu but they have incredibly good fried dumplings, a must try whilst you’re in Beijing. 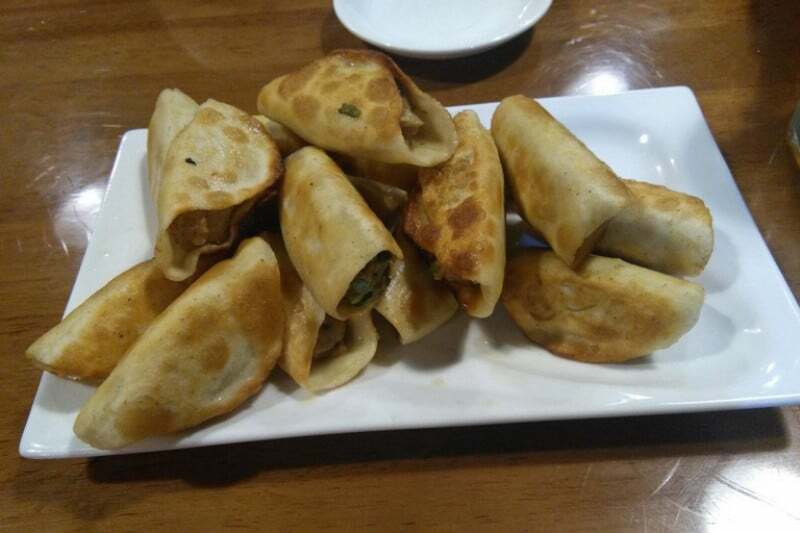 Fried dumplings at Mr Shi’s are the best I reckon. You can even get dessert flavours! Xi’an is really famous for one thing, The Terracotta Warriors. The city, however, has some really nice places to see and things to do that are less known about. 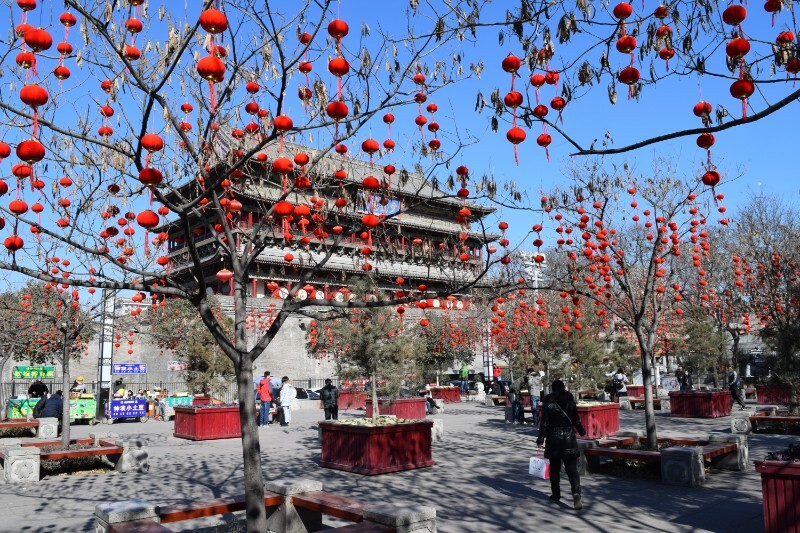 I have written a short itinerary for Xi’an, it’s only 24 hours but you can zoom through Xi’an and see all the best things if you’re short on time. They really make an effort in Xián to make their city look beautiful. This is the single biggest reason to go to Xi’an and what a hell of a reason it is. Thousands and thousands of reassembled terracotta soldiers lined up in the trenches they were dug out of. It is said that every single one has a different face and is modelled out of the old Emperors actual army. Either way, don’t test me on that because I didn’t have time to look at each one of them in the eye! This is the largest pit in the complex and it breathtaking to see. You can easily spend a couple of hours walking around the different pits and reading about why and how they are there in the ground so far from away. It really is mind-blowing that something on this scale could be achieved and then utterly forgotten in history. Guilin is famous in all of China for its unbelievable natural beauty. Couples come from thousands of miles away just to get their wedding pictures taken amongst the hills and flowers. You will see that there are entire streets of Guilin that are just wedding photography shops, and all of them are doing well. You can also take a cruise on the Li River and take in the beautiful scenery, or explore the Reed Flute Caves and Elephant Trunk Hill. This has to be the most famous attraction in Guilin. It could be one of the most beautiful places in the world to take pictures of rice paddies. There are areas that 3 ridgelines come together in the middle to create incredible views of three separate valleys spanning into the distance illuminated by the shimmering light of the pools and the rich green of the rice. Not that I would know. This is the picture I took of the Dragons Backbone. So take my advice and go in the times I advised; April, May, September and October. These months will increase your chance of getting the stunning images that you want from Guilin. You will have to hire a vehicle to take you to the mountains and they can easily be arranged through the hotel or hostel you are staying in. READ MORE: Tips On How Not To Plan A Trip To Guilin! We saw the aftermath of 8-10 car accidents in a 2-hour car journey into the mountains to see the rice paddies, one of which looked to be fatal. Our driver was an absolute idiot, overtaking in fog on blind corners next to a vertical drop and swerving out of the way of oncoming buses. After a couple of times of this, I had a word. Sometimes having a go at someone can be slightly embarrassing and a lot of us just sit there and keep quiet. Do not let someone else’s idiocy get you injured. The driver took it very well and after that, he drove completely safely. I believe they are just trying to get you to the top and back as quickly as possible to maximise your time at the attraction, you’re not in any rush so just let them know. READ MORE: 5 Awesome Things To Do In Guilin! Shanghai is an exceptionally modern city on the east coast of China. It does not have the amazing amount of ancient culture that Beijing has but it does have a charm all of its own. 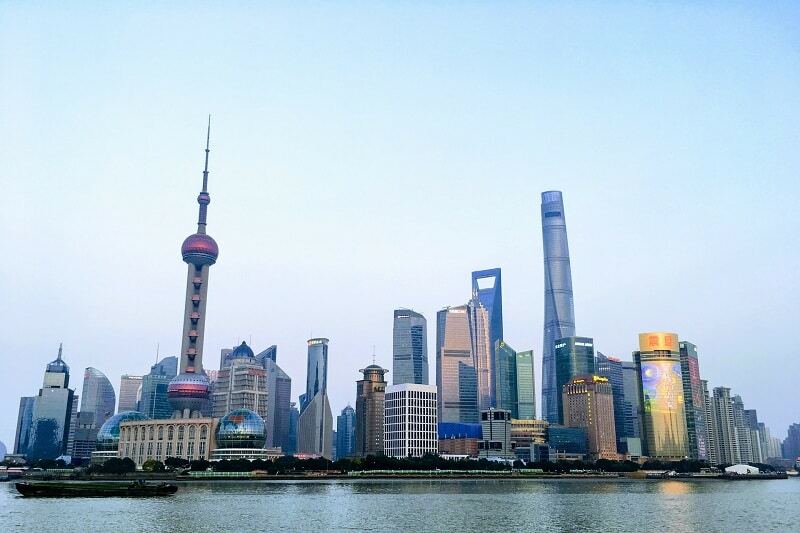 If you are in China to really experience Chinese culture and history then I personally would not recommend having Shanghai at the top of the list. My family went there when they visited me in Beijing and they said it was very beautiful and extremely modern but lacked the real tourist opportunities that other areas have. Shanghai is a very modern city, don’t expect too much ‘traditional China’ here. One of the tallest buildings in the whole world, The Financial Tower in Shanghai is a must if you are visiting. You can get absolutely stunning 360-degree views of Shanghai metropolis and at sunrise and sunset, you can get some mind-blowing pictures. If you dare there is a skywalk on the 100th floor which is made of glass, you can walk out onto it and look through your feet at the ground over 400m below. To get there take the subway line 2 to Lujiazui station and it is roughly 10 minutes from the entrance. There should be signs directing you there and considering the size it will be easy to find. The current cost of the 100th-floor viewing platform is 150yuan, expensive and you may have to wait an hour but it is highly recommended. Sanya is a very popular tourist destination for the Chinese people. Situated on the island of Hainan off of the south coast of China, it has a tropical climate and gorgeous beaches. Backpackers may not have a reason to come to Sanya as it is basically a beach resort type area. 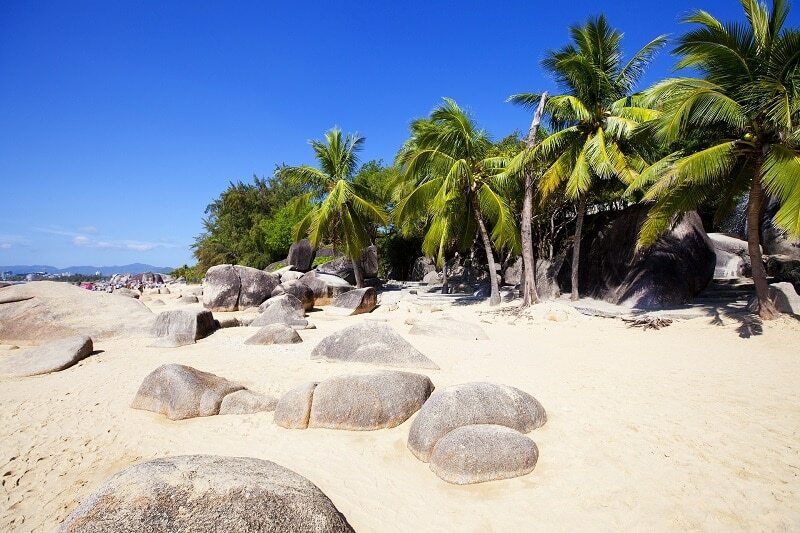 However, if you’re into relaxing in the sun, diving, snorkelling and other tropical water based water sports then you should check it out as an alternative to the mainland. Palm Tree Beach in Sanya is one of the better-known resorts. Harbin is situated in the very northern area of China and is very famous for one thing, the Harbin Ice Festival. If you have travelled to China in the winter then this is basically on the top of your list for places to go. Huge monuments and buildings sculpted out of ice and snow are decorated with lights which illuminate large areas of the town. This International Ice Festival is huge and very beautiful. You’ll have to give yourself a couple of days at least in Harbin to fully enjoy the festival, and to be honest if you’ve gone to China in winter then this is the place to be. They fully embrace the cold and the pollution up there is nowhere near as bad as other places during the winter. The best way to get into Harbin during the winter is by getting one of the trains from Beijing, either a slow train or bullet train depending on your budget. Not in China for the festival? You can still visit Harbin and explore the snowy city. If you go to Harbin, your packing list will be VERY different from the rest of China. 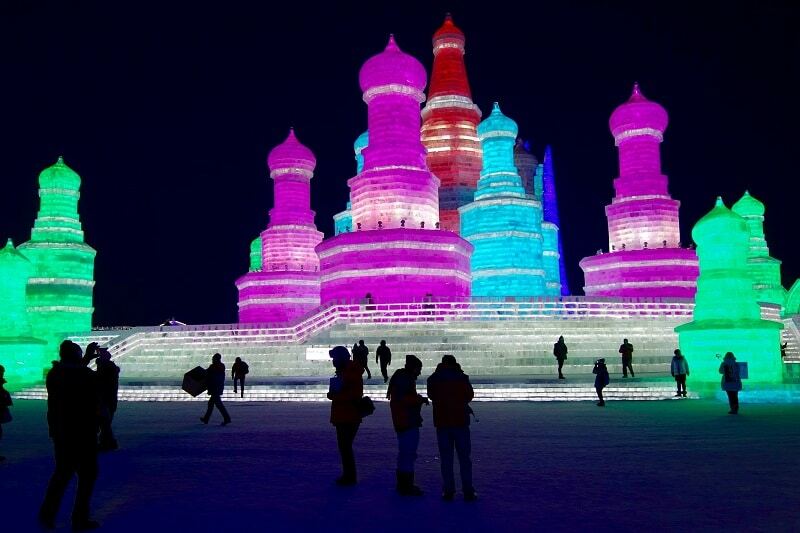 The average temperature in Harbin, during the International Ice Festival, is -17 degrees Celcius. You are going to need to take some serious warm clothing. I have made a list of things you are going to need in addition to my previous packing list. A thick winter jacket is a complete necessity. The average temperature might be -17 degrees Celcius but the temperature can go as low as -30 degrees Celcius. I recommend getting yourself a good quality ski jacket in order to keep warm and potentially matching ski trousers for the extra cold days. I do not have the necessary experience to recommend a jacket that is going to keep you warm in these sorts of conditions, go to your local outdoors shop and speak to someone with additional knowledge. Visit The Ice Festival website for more information on packing lists. Chengdu is widely known throughout the world as being the best place to see pandas, however, it is also an incredibly beautiful city in its own right. Throughout the city, there are little art pieces coming out of the walls. These art pieces are designed to be interacted with to get some cool looking photographs. There are dotted throughout the city so definitely have a little stroll to see what you can find. 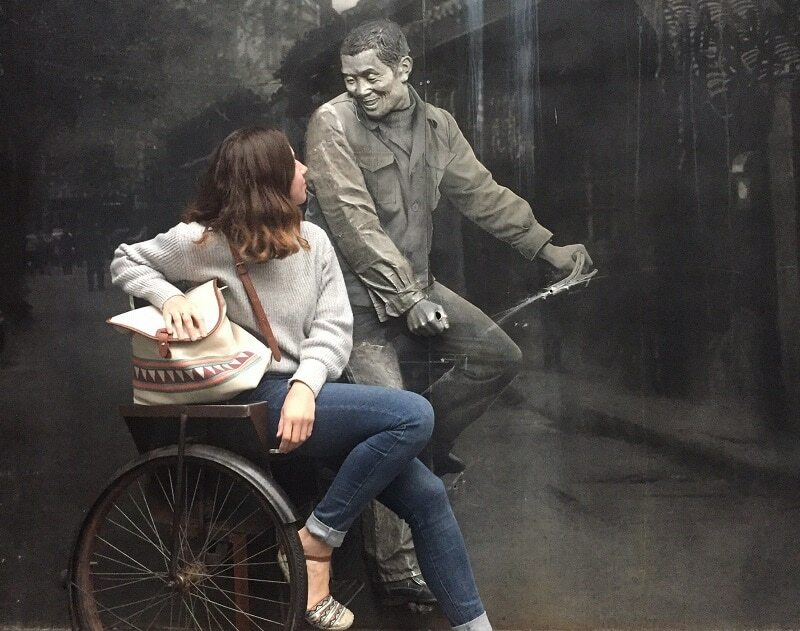 My friend Anna spent hours taking pictures with the Chengdu wall art. It is the capital of Sichuan province which is famous for its spicy food. If you like spicy food then basically everything you normally eat around China is much hotter in Sichuan. You can ask for no spice by simply saying ‘bu la’ if you’re not that into hot food. 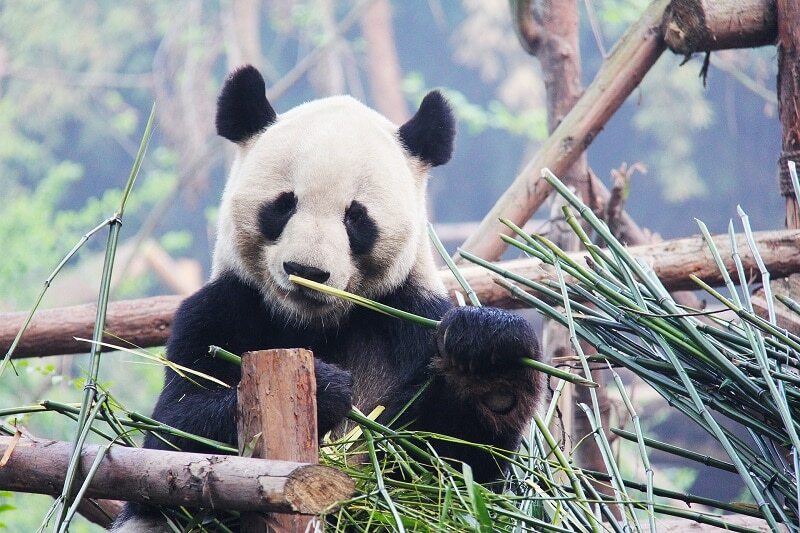 Seeing the pandas in Chengdu is a once in a lifetime opportunity. China very rarely allows their pandas to be transported to other zoos around the world and even then the conditions and facilities are not the same. The Pandas are really well taken care of in Chengdu and it the parks are instrumental in protecting Pandas from extinction. The Chengdu Park is so incredible. The land and care the pandas get are second to none. This park has been instrumental in conservation efforts and preserving the panda species, so much so that in 2016 pandas were moved from endangered to vulnerable. If you go backpacking in China then this is in your top 3 destinations alongside Beijing and the Terracotta Warriors in Xi’an. You may have heard that you are able to hold the pandas in Chengdu, this is no longer the case. Even though it was a very lucrative scheme they have decided that holding the baby pandas has a more detrimental effect for them than they originally thought. 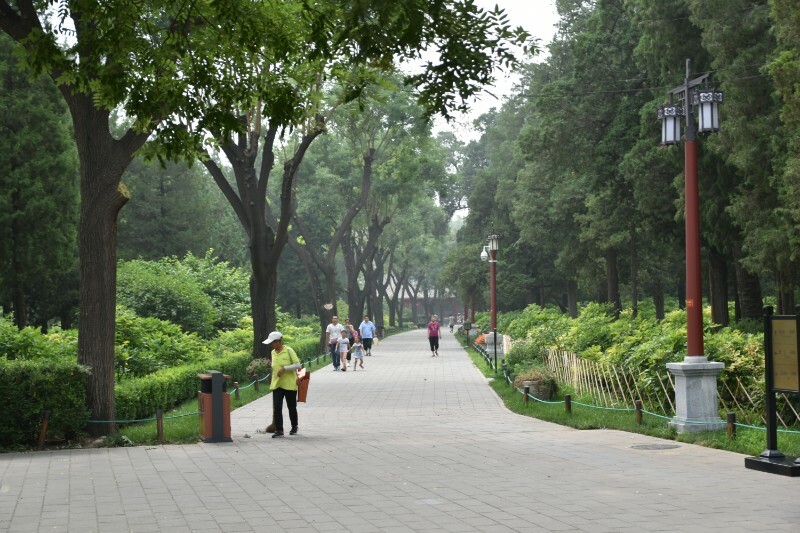 Go to Chengdu Park early in the morning. This is when the giant pandas are more active, as soon as they have been fed then they become very lazy and sleep all day. Admission varies between the three main locations but on average you are looking to pay 60rmb to get access to the main attraction at Chengdu Panda Base. 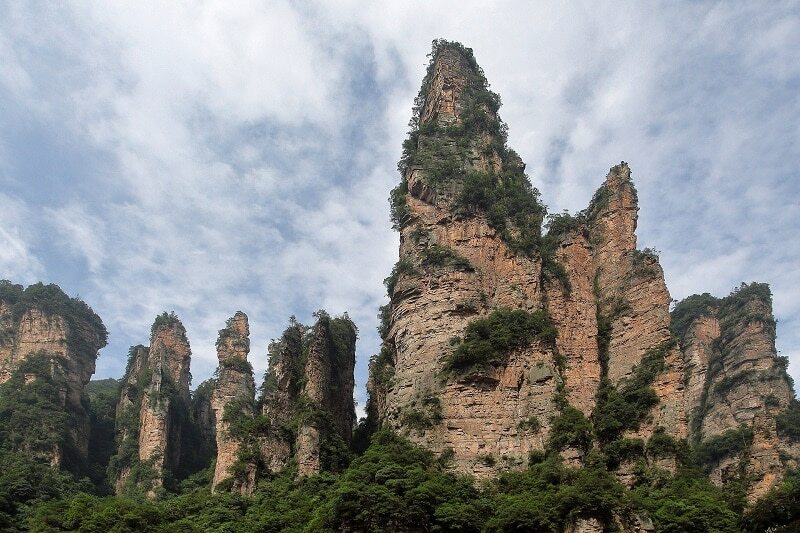 Since the release of the film Avatar, Zhangjiajie National Park has seen a huge increase in tourism and you can understand why. The park is one of the most beautiful national parks in the whole of China and if you are on an extended stay it is a must see on your itinerary. The best way to get there is flying into the Zhangjiajie international airport and staying in the town. When you are ready, there are two main entrances to the park. One entrance is in the town and can be easily found by following directions or using the handy map/guide that the hotels in town have. The other is a little bit further out of town and requires you to take a bus. Depending on where you are staying the bus may be different or a different route, so ask your hotel or hostel in Zhangjiajie and they will be able to point you in the right direction. Going to the entrance outside of town may be beneficial as this is less crowded and offers some of the best scenery available at the park. This is one of my favourite topics when discussing China. So many people go to China and leave saying that the food was horrible. I love reading food guides to China as well, as they nearly always have horrible food in that people think is ‘traditional’. You can get some really cool meals in China. 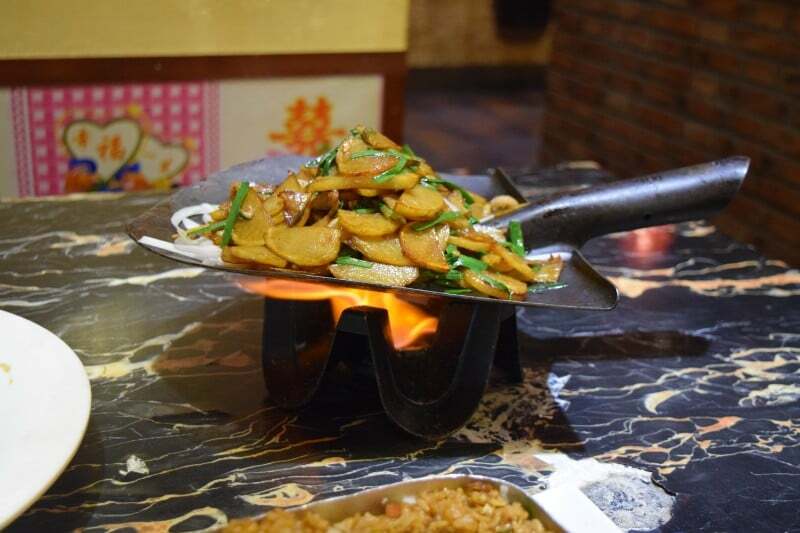 This is fried potatoes, bacon and spring onion served on a shovel! Just to let you know, you don’t have to go to China and slurp on some pig intestine soup, nor do you have to crunch down on a scorpion that’s still wriggling on a stick and you definitely don’t have to eat a hard-boiled egg with a half grown foetus inside. Most of these things are tourist traps and even if they aren’t, don’t try something you don’t like. This is a country with thousands of years of rich history; the food is as rich and diverse. 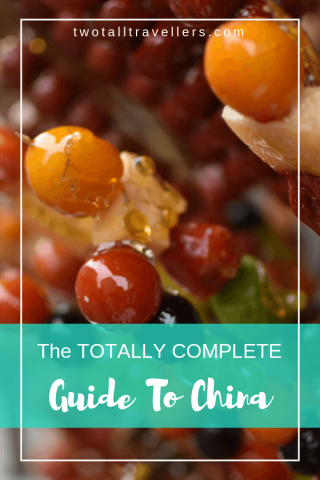 I have written a guide to some of the best food to try in Beijing but it also goes for a lot of China. Walk into a restaurant and look at the menu, if the menu doesn’t have pictures just walk away. If you ask the wait staff to choose for you then either they will get something horrible because it’s ‘traditional’ or look at you and do nothing. Pictures are key people! There are two main languages in China; Mandarin and Cantonese. Cantonese is only spoken in the very southern areas and even then they also speak Mandarin. Therefore if you are going to learn some key phrases then you may as well learn Mandarin as everyone is going to understand you. English level in China is non-existent outside of the cities and in the cities, it’s not that high either. Taxi drivers, restaurants and shop workers are not going to speak English at all. Information points are going to be the only real place you’re going to be able to get help. Pronunciation of these phrases is very difficult for English speakers. The sounds and the tones dictate what a word means and if you get one wrong then they will not understand you at all. I recommend having a go at learning but, if you can’t, don’t be ashamed if you start using the universal language of ‘point and nod’. The currency in China is the Chinese Yuan Renminbi and the currency code is CNY. You cannot use any other currency as a form of payment as no one in China will accept it. You can change your money into CNY whilst in China at any large bank, I recommend the Bank of China. The exchange rate is amazing when you go to a bank, one time I got more money than XE.com was saying I should have. I believe this is because the banks do not charge any commission take no cut whatsoever from the transaction. If you have more than $500 of CNY at the end of your trip you will not be able to turn it all back into your original currency in one day. China has a cap of $500 from CNY to other currencies for foreigners per day. This is a big one with China and I guess you want to know whether or not it is going to affect your backpacking trip to China. The worst thing can happen, if you are going short term, is that it ruins your pictures, especially in the cities. Beijing on a bad day can be horrible to see, the pollution covers everything. If you go to China in the winter then the pollution is significantly worse. Many people in the cities start to burn coal in order to keep warm. Beijing is massively worse in the winter so, unless you want to go to the international ice festival, don’t go to China in the winter at all. I have never experienced any crime whilst living in China for 2 years. Nor have I felt nervous or uneasy about a place or situation I was in. This does not mean it does not happen. Stories about bags being taken are not uncommon but I don’t believe that a disproportionate amount of theft happens in China than it does elsewhere in the world. One thing you should be aware of, whilst in crowded markets be aware that these areas are hot spots for pickpocketing. This isn’t China specifically but any crowded space you ever find yourself in. 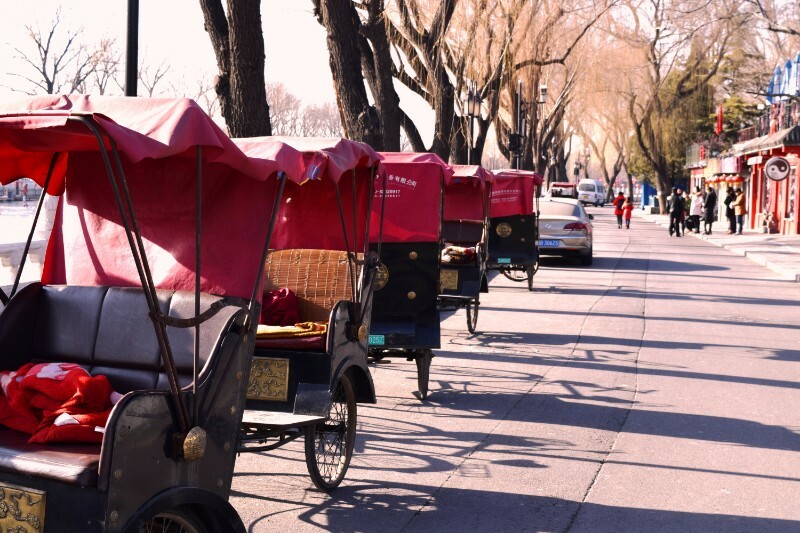 We used tuk-tuks to get around small distances throughout our time in China. They do not have seatbelts but are relatively slow vehicles. The worst thing that ever happened to us was a driver didn’t see a bump in the road so my head nearly went through the roof. I don’t think they are dangerous and they are very cheap but use at your own risk. They look like they’re about to fall apart but we used them all the time. There are scams all over the world, I don’t want you to think that because there is a scams section in my guide that China is riddled with people waiting to scam you. These are just some of the things that I’ve either experienced or heard from friends. There are plenty of tea centres you can go throughout the whole of China to experience the traditional tea making and serving of Chinese culture. You may be approached whilst around big tourist attractions, like the Forbidden City, by people who are offering to help you experience this tea tradition. These people will take you back to their house and they will do the whole tea making ceremony and you will almost certainly have a good time trying different types of tea and experiencing the traditional local culture. In the end, they may then ask for a ridiculous amount of money and not let you leave until they get something of value. In the end, this is just theft and sticking with shops on the high streets and official tours is a much better and safer alternative, book a trusted official tea tasting tour to save yourself some heartache. At every single large tourist attraction, there will be many people hanging around waiting to ask you if you want a tour guide. These people are not official but can do quite good jobs if you want to pay them the money that they are asking for. Unfortunately, these people are not supposed to be doing this and if they are spotted by the officials/security there is a good chance that they will simply pretend they were just offering some quick advice and then walk off. At a lot of these places, there are official tour guides that you can book or pay at the gates, it might be more expensive but it’s better than losing your guide halfway through. This one only happened to us when we were pissed very late at night/ in the early hours. The taxi drivers put a towel over the meter and try to negotiate a price with you. Don’t allow them to do this as it is illegal in China for them do it and you have to cover yourself. This is a funny one. Whenever there is a government bus/shuttle that goes to a large tourist attraction there are people with their own little minibuses with the same bus number propped in the windscreen. This is an easy one to avoid. If someone is saying ‘this is the 306 bus that goes to the terracotta warriors’ then it isn’t. The official bus drivers sit in their seat and wait for you to board. No official bus driver is going to get out of that seat and try to get customers; they simply don’t have the need. I reckon you have heard that China produces quite a lot of fake goods, so much so that the government is massively cracking down because they hate that they have this reputation. Just be aware that if you are buying a Go Pro for $50 then it probably isn’t a Go Pro. A lot of the fake goods in China are actually very good quality, maybe because they come from the same factory. If it’s a good price then why not try it on, save yourself some money and make yourself look like a Nike ambassador. Culture shock is a real issue when you go to China if you are not prepared and don’t know what to expect. Chinese culture is very different from ‘western’ culture and you can find yourself either annoyed or unable to do something without breaking your own cultural norms. In the UK if we want a waiter then we politely try to catch the waiters eye or call them over with a brief raise of our hand. In China, this will not work. The wait staff very frequently go and sit outside or chat in the kitchen, this is not them being rude. All of the locals shout waiter (Fúwùyuán) very loud, and I mean really shout it. If you want a waiter to give you attention in many Chinese restaurants then this is the only way. Do not tip in China. They won’t get angry but it is seen as charity and they won’t accept it, In Chinese culture, this can be seen as you are disrespecting their income and can be quite offensive. Even if you have just given a taxi driver $2 for a 15-minute taxi ride, don’t tip, they can sometimes chase after you just to give the money back. They are taught that you should get rid of anything that is stuck in your throat and not to swallow it. This means that spitting is very commonplace throughout China. This is made worse by the amount of pollution-related illness in the middle ages – elderly. Kids up to 2 years old wear trousers with holes in the back and no nappies. This is because they don’t believe in nappies because of the nappy rash and other health negatives. This means that sometimes you may see a kid urinating in the street or having a poo in a bin. 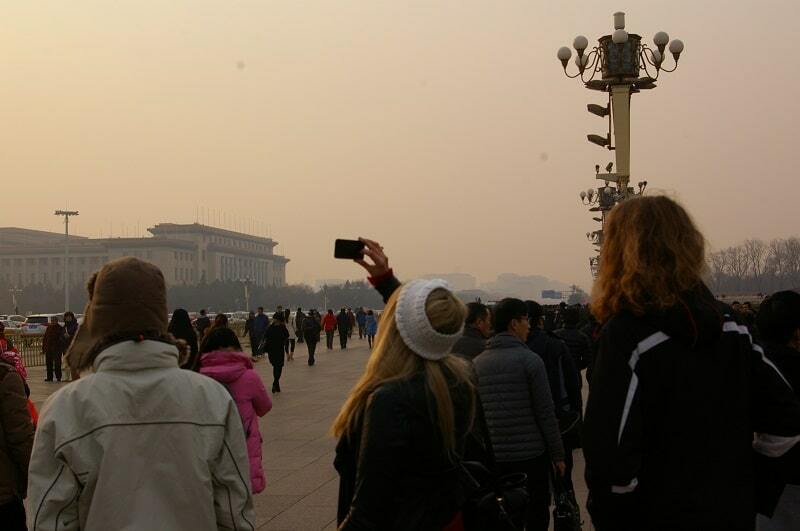 We lived in Beijing for 2 years and it was very good for us. We saved a lot of money and got to travel all over South East Asia. So I might be a little biased when I talk about the potential that China has. It has its problems like most other countries but for backpacking, China has it all, and more. The pure size of the country allows you to experience a massive array of attractions all within one country on one visa. These peddle Tuk Tuk’s are quite relaxing if you want to pay the extra money. One big negative for me is that China has not taken that leap from country to tourist-friendly country. Like other Asian countries such as Cambodia, Thailand or Indonesia, China does not feel like a tourist-friendly country yet. When you visit places like Thailand you feel like the locals appreciate you being there, you feel like you’re welcome and this improves your experience significantly. I’m not saying that the Chinese are unfriendly because that isn’t true; they are simply not accustomed to the idea of foreign tourism yet. Even in Beijing, the capital, people stare at you like you are an alien. China is very much not a multicultural country. Don’t let that put you off because you have the opportunity to experience this fantastic country before the world and China catches up and the crowds start flooding in. I really think that is going to happen in our lifetime. Don’t go to China during the winter months as it is significantly worse during this time. If you go to China during an international conference then they turn off all the factories around Beijing so that’s a great time to go! Don’t tip at all as it is seen as charity and can be offensive to some. April, May, September and October. Avoid National week at the beginning of October. The winter months in the north are bitterly cold and extremely dry. The pollution is worse in the winter as well. 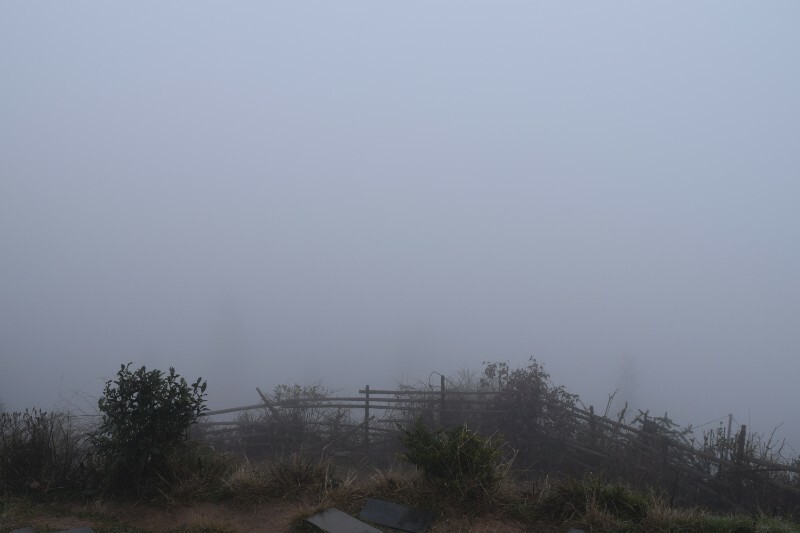 The winter months in the south get a lot of thick fog and rain. Unless you are going to the International Ice Festival then avoid China in the winter. I can’t believe you made it to the end. China is a big place and I’ll probably come back to this guide quite a few times in the future and make it even more complete. If you have any questions at all about things that I’ve written about or things I might have forgotten then please ask in the comments section below!